The website, which was created in close collaboration with Tom’s agent Professional Sports Group, provides fans and sports enthusiasts with exclusive information, pictures and video clips. The site contains home video diaries of Tom as he trains, competes and prepares for London 2012, which are edited by our in-house production team. 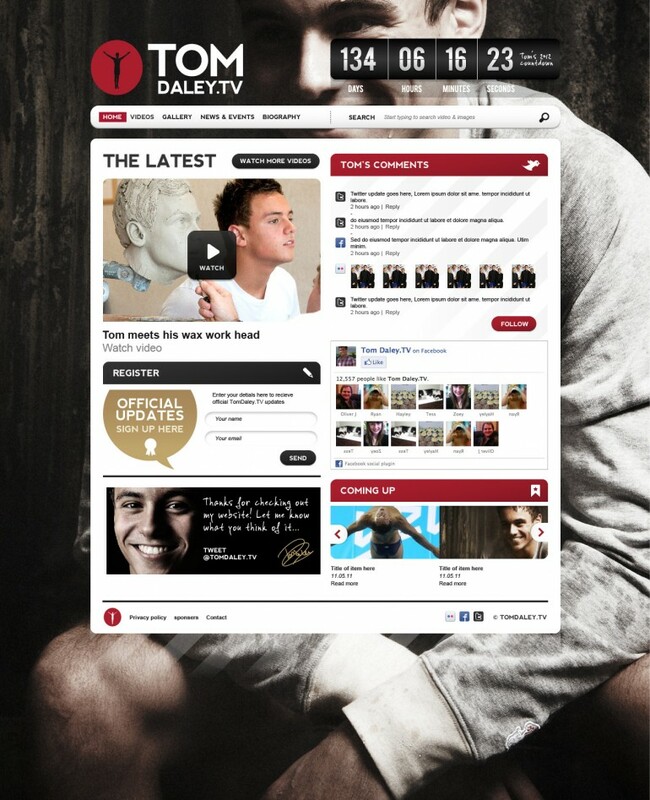 Tomdaley.TV also contains news articles, photographs and a summary of Tom’s event schedule. The site has integrated social networking so fans can stay in touch using Twitter. Skill’s used – Custom WordPress theme, HTML, CSS, php, SQL, WAMP, SVN.